Christine Owman's passion for music started at an early age. She sang before she could talk, wrote music before she could spell and started playing the cello at the age of five. Her musical inspiration includes influences from post rock, psychedelic rock, grunge rock, classical music, punk and new wave. She started her own record label after graduating high school and released her own and other bands' music until she signed with Glitterhouse Records. In 2013 she released her second album ‚Little Beast‘ followed by extensive, worldwide touring with artists such as SoKo, Wovenhand, Robert Plant or Vånna Inget. Producing the new album ‚When On Fire‘ herself, Christine Owman has created music that is a dichotomous blend of dreamy sounds and raw distortion, reverb, bass and noise expressed through clever, uninhibited lyrics. Tales from dreams, fears, nightmares and interpretations of darkness but with an empowering strength that conveys hope and almost makes you feel safe in the dark underground she guids you through. Stories about unconscious thoughts surfacing, observations of surroundings in times where mental illness and suicide rates are rising like never before. ‚When On Fire‘ is sensual, dark, rough and airy, all at once. The cinematic feeling creates images in the listeners' mind. Owman guides you with a strong will and determination, almost hypnotising you to follow her into a lonely, dark, haunting path heading towards something mystical, a bit frightening but oh so beautiful. A place where contrasts and contradictions, reality and dreams intertwine. Beside Christine Owman you’ll find appearances by amazing guest musicians such as Mark Lanegan (Screaming Trees, Queens of the Stone Age), SoKo, Karolina Engdahl (Vånna Inget, True Moon) and Erika Rosén (Swim) with a B-side collaboration by Neil Keener (Wovenhand). 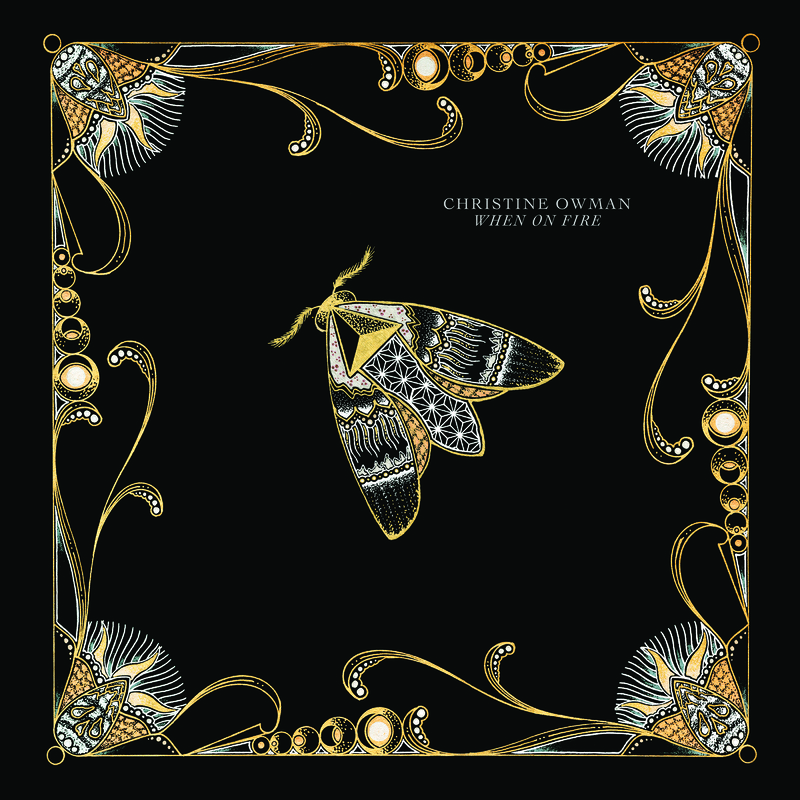 Christine Owman's music starts from the darkest underground, surfaces the ground into a mesmerizing cloud of mist and continues reaching for the open sky. Empowering, sensual, dark, dreamy and raw all at once. Her new album ‚When on Fire‘ will be released Nov 11 at Glitterhouse Records followed by an extensive tour with her live band consisting of Magnus Sveningsson of The Cardigans on bass, Andréas Almqvist of Vånna Inget on drums, Erika Rosén on guitar and herself on cello, guitar, singing saw and vocals.